I like to keep my feet on the sidewalk. 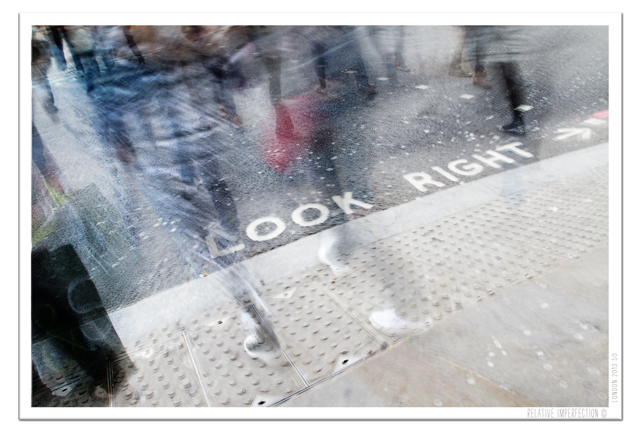 This entry was posted in Photography and tagged acera, calle, England, floor, inglaterra, london, Londres, look right, painted sign, rein undo, rush hour, sidewalk, sign, street, traffic sign, Uk. Bookmark the permalink. Thanks. People looked at me like i was crazy while shooting the pavement in London with a huge and heavy hand held camera… But it was fun!